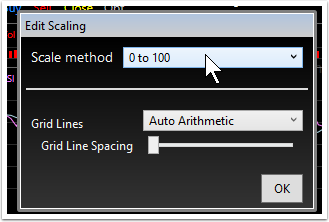 Use the scroll wheel on the mouse to increase/decrease the number of grid lines in the scale. 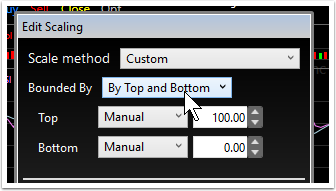 Alternately, click the name of the Indicator in the legend(1). 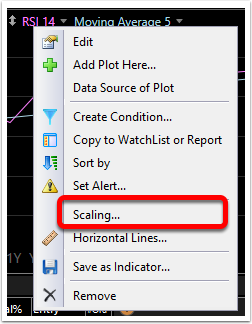 Choose Scaling(2). 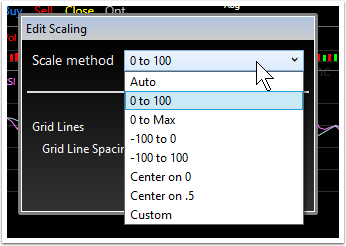 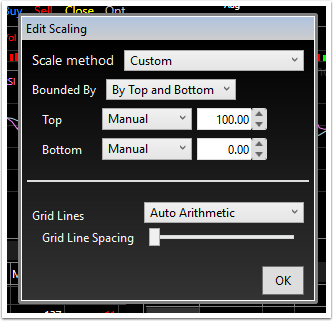 Use the slider to adjust the grid line spacing(3). 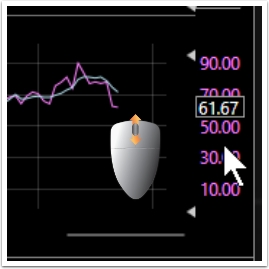 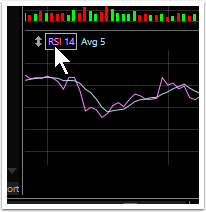 Click on the Indicator Name in the legend of the indicator pane. 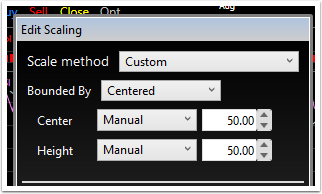 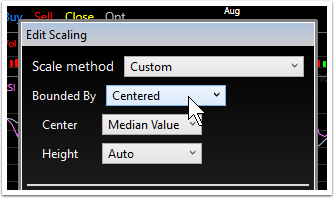 Centered: Manual--centers on a user-defined value and sets the height either automatically to fit the indicator or by a user-defined height value.